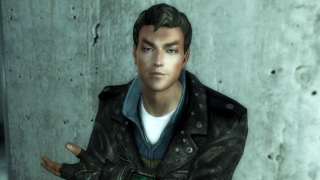 Fallout 3 is a very big, very long game—unless you're a speedrunner by the name of Rydou, who set a new record yesterday by beating the game in less than 19 minutes. And in case there was any doubt, he captured the whole thing, from the first conversation with Liam Neeson to the final showdown at the water purifier, and posted it all on YouTube. There are obviously shenanigans afoot—as Rydou explains, "Everytime you quickload, the collision detection doesn't work during something like 10 frames, allowing me to clip through objects and walls"—but that's okay: The official rules for an "Any percentage" speedrun allow for just about anything short of console commands, and specifically note that saving and loading is permitted as long as they're created during the same run. Rydou's final time of 18:53 beats the previous record, which he also held, by four seconds, and it may stand for a long while. It was just nine months ago that BubblesDelFuego beat the game in a mind-boggling 23:55, yet that time isn't even good enough to crack the top 16 anymore. The top nine speedruns are separated by only one minute, and watching the video, it's hard to see where much more time could be shaved. Rydou doesn't seem interested in trying to top it either, writing, "I consider myself done with the game, until something new is discovered, or somebody takes the record back."